The Evershine Keys Prima Resort in Mahabaleshwar is our idea of everything grand and romantic and, we feel, makes for a perfect getaway with your partner. 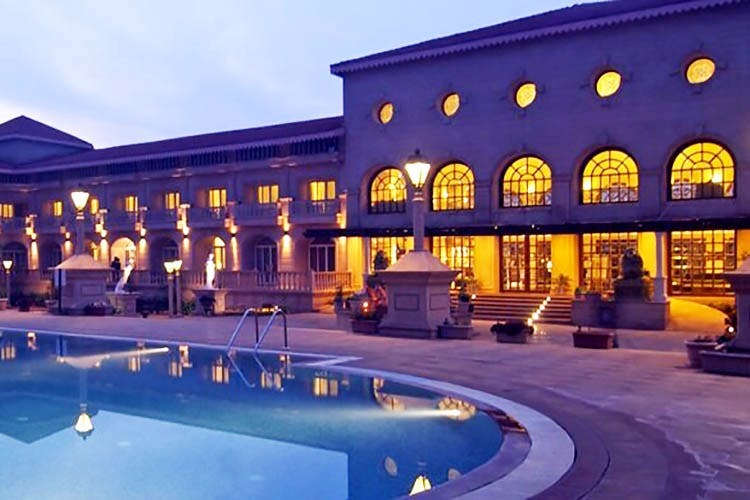 From Pune, the resort is a three-and-a-half hour drive via NH48. Click here for the detailed map. In the foggy winter mornings, amidst the lush green mountains and a lake view from your suite, enjoy a romantic stay at the Evershine Keys Prima luxury resort. Keys offers you and your SO the perfect ambience to unlock the hidden romance and of course, Mahabaleshwar’s weather also does the trick. Well-equipped with a television, WiFi, queen-sized beds, 24-hour room service, cupboards, air conditioning, tea/coffee makers and workspaces, Keys offers three kinds of rooms – Executive Twin with two single beds, Executive and Deluxe. You can unwind at the Unlock Bar and the Le Pizzeria cafe over here. There is a fully-equipped gym too. So no missing your daily work out. At Evershine Keys Prima Resort, apart from romancing around, you can take a dip in their swimming pools, or play billiards on their pool tables or go for a detoxing couple’s treatment at their spa. A romantic one night stay at Evershine Keys Prima Resort in Mahabaleshwar starts at INR 6000 per night, but we bet you, it’s worth it!